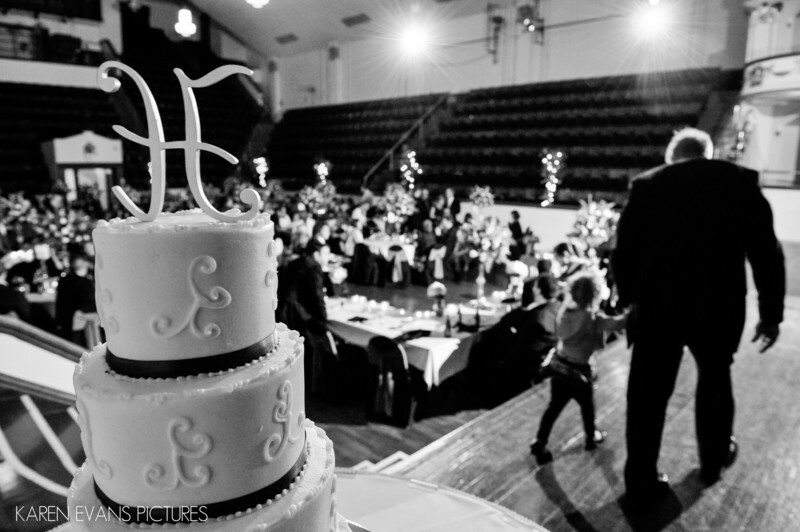 This cake belonged to Becky and Jeremy for their wedding in the Large Theater at The Columbus Athenaeum. I love how the grandpa is walking the child away from the cake. He must've gotten a little too close.Keywords: cake (81), columbus athenaeum (105), columbus athenaeum large theater (42), downtown (246).